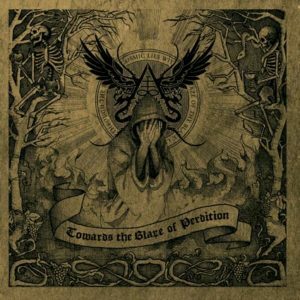 A true cult release deserves the matching format: ABHOR are back with their long awaited sixth album „Ritualia Stramonium“, now released on official cassette edition! This Italian dark circle has been active for over 20 years now and they never followed any trends! The new album is deeply rooted in the 90s but not to be considered retro: The music simply breathes the old spirit and takes you on a ride to moldy catacombs, abandoned ruins and unholy rituals with its humming bass and the ritual organ excesses. The morbid production was done in the Vinum Sabbati Studios and because of it the midtempo-songs sound ghostly and incredibly old. ABHOR are on the shortlist for fans of ANCIENT, ROTTING CHRIST and MORTUARY DRAPE. Enter the halls of ancient witchcraft, mysticism and occult magic! Black rituals since 1995! Under exclusive licence from Moribund Records (USA), the cassette edition is now available. Limited to 100 green cassettes with black print. 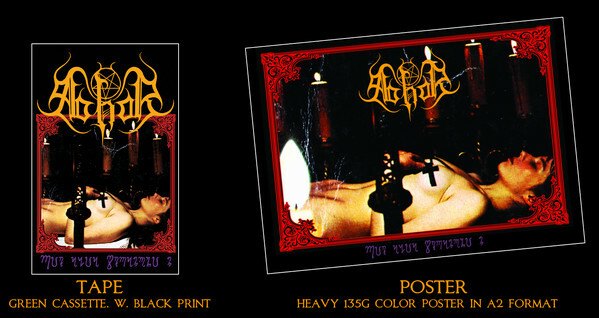 Each cassette comes with a 135g heavy color poster in A2 format.